Newcastle’s glorious cinema heritage is being celebrated with a new collection of eight artworks. 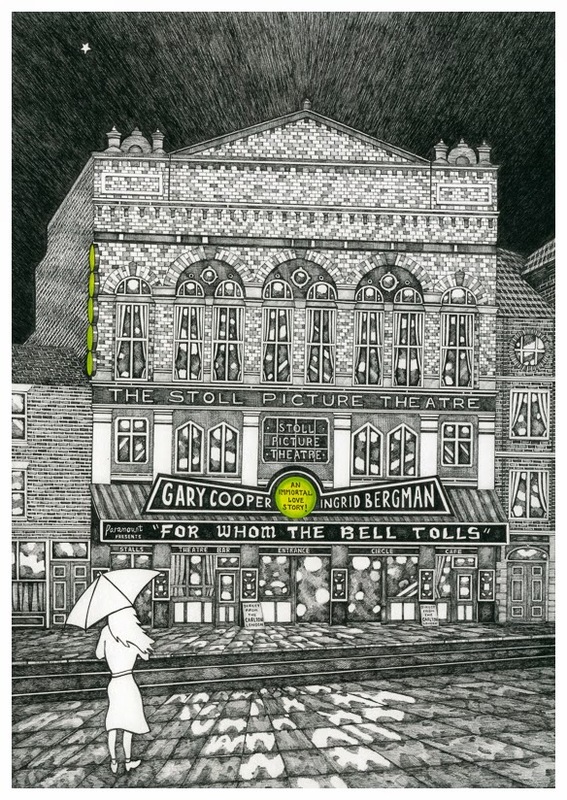 Heaton based artist and illustrator Ben Holland has been working on the series of drawings for the last two years and will exhibit the collection for the first time in one of Newcastle’s most historic cinema buildings. The Tyne Theatre and Opera House, previously the Stoll Picture House on Westgate Road, first opened its doors as a cinema on 2nd June 1919 with a screening of Tarzan of the Apes. 96 years on, the auditorium will once again be filled with memories of the silver screen as the collection, entitled Freeze FRAME, is displayed in the theatre, initially onstage (1st & 2nd June) and then throughout the remainder of the month in a public exhibition space. All eight artworks have been researched by piecing together several library archive photographs. Each composition has then been painstakingly hand drawn in pen and pencil. All limited edition prints are hand coloured after printing – giving each print a unique touch of originality. Ben’s work – which has until now centred around the subject of Newcastle’s pubs and cafes – has previously been displayed in galleries and venues throughout the city. He has also previously been nominated as a finalist for The Biscuit Factory’s UK Young Artist of the Year Award. Freeze FRAME is his first major solo collection. 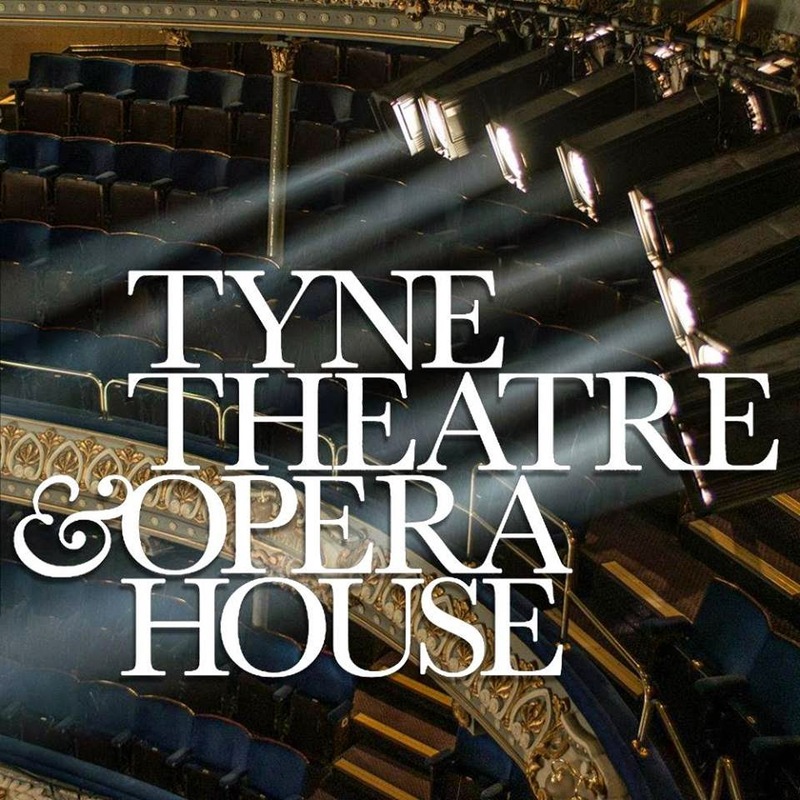 Tyne Theatre & Opera House are thrilled to be playing host to this event and using the stage space in a different way. Attendees are welcomed to join Ben and his work on stage on Monday 1st June from 7pm to 9pm. Freeze FRAME will stay on stage on Tuesday 2nd June from 10am to 3.30pm then moved to a gallery location within the Tyne Theatre & Opera House for the duration of June 2015. FREE ENTRY. On Stage Exhibition: Mon 1st June from 7pm to 9pm, Tues 2nd June from 10am to 3.30pm. Gallery Exhibition: From Wed 3rd to Tues 30th June (Mon to Fri only) 10am to 3.30pm.